Time stood still for Jason. He wasn’t even sure if he was breathing. From the edge of his vision, he could see Reyga staring at him in confusion. The three warriors watched him with expressions ranging from intrigued curiosity to wary suspicion. All of this was a footnote in the back of his mind as he tried to comprehend the fact that his father, now an old man, was standing before him in a world that wasn’t their own. For his part, his father seemed like he couldn’t decide whether Jason was real or a hallucination. After blinking his aged eyes several times, he hesitantly reached out a trembling hand. As his fingers touched Jason’s sleeve, the elderly Bennett drew a ragged breath that collapsed into a sob, and he drew his son into his feeble embrace. “Dad? What are you doing here? How did you get here?” But even as he asked, a part of him realized that he wasn’t alone in this world any more. Somehow, his father had found him. His arms slowly went around this frail, old man that his father had become, and he held to him tightly. In his father’s embrace, the feeling of loss that he’d been holding at bay finally broke loose, and tears flowed down his face as well. Eventually, they regained their composure and separated themselves. The elder Bennett, however, refused to release Jason’s hand, as if afraid that if he let go his son would vanish once again. He stared in at his father in shock. What? What do you mean ‘divorced’? You were happily married three days ago! The word echoed through his mind. Divorced…divorced… His parents had always been the epitome of the “match made in heaven.” He sank into a chair. Jason was stunned. “Fif…” he breathed. It was hard to think. Fifty years? How could that be? He couldn’t grasp what he had just heard and decided to set it aside for the moment. There were more important questions he needed answered. “Why did Mom leave?” he repeated. Out of the corner of his eye, Jason saw Reyga stiffen, but he was too involved in his father’s tale to wonder about it. He searched his memory, dredging through fragmented segments of his father’s half-forgotten history lessons. Jason shook his head, confused. “But I don’t understand why you’re so much older. How could you have come here thirty years ago, but not stepped through the rift for another twenty years?” he asked. Before getting back on the road, they found an outfitter where they replenished their food and water. They rearranged the supplies so Jason’s father could ride on one of the charnoths, and set out once more. “This is a remarkable world, Jason, don’t you think?” his father asked. “The dimsai is truly amazing,” the elder Bennett said. He shook his head. “I don’t know what you’re talking about. I haven’t seen any magic.” Then he stopped. “Or have I?” He looked at Reyga. “Why wouldn’t the Circle want Jason to know about dimsai?” his father asked. “I cannot say anything other than that we were unsure as to what kind of person Jason was. If he turned out to be an enemy, we did not want to reveal too much to him about our world,” the Loremaster explained. “Well, I may just have a few things to say myself to this High One,” Jason replied. “I know,” Reyga said. “I am not altogether pleased with the situation myself. I thank you for your forbearance.” He gave Jason a formal bow. “Yeah, yeah, whatever,” Jason muttered. Then, slightly embarrassed by Reyga’s bow, he turned back to the trail. In a blur, Gatlor and Calador drew their weapons and scanned the trees around them. Seerka’s ears laid back, and Jason could hear a growl from deep in his throat. The Ferrin’s claws were fully extended, and he looked ready to leap on the first thing that approached the camp. Jason glanced around nervously, not knowing what to expect. The forest, so cheery with birdsong just a moment ago, now seemed threatening and dangerous in the ominous silence. He jumped as the sound of something crashing through the underbrush broke the stillness. Before Lenai could answer, a raspy hissing sound filled the air, and the raiders burst from the woods around them. As the warriors raised their weapons, the girl took one step towards the approaching creatures and vanished. Several of the charnoths were already tearing at the ground. One or two gave screeches that Jason could only compare to the sound of a hundred fingernails scraping across a blackboard. They got Jason’s father down and into the center of the warriors and animals just as Jason heard the first clash of metal. He turned to see what was happening. Gatlor, sword in one hand and long dagger in the other, was fighting a creature that looked part human and part reptile. The creature’s scaly skin was a dark mottled green, almost black in some places. It wore dark leather armor, and carried a jagged-edged, double-bladed short sword in one clawed hand, and a thin black dagger in the other. Lizards with swords. Now there’s something you don’t see every day. He pushed the thought aside, and watched as Gatlor countered the raider’s attack with dazzling speed. The flash of sunlight on steel turned the warrior’s parries and blocks into a blur of gleaming metal and leather. Then the creature sank to its knees, dark blood flowing from a gaping wound in its neck, courtesy of a blow almost too fast to see. Jason turned to see how the others were faring. Calador had engaged several Trellin. He wielded a large axe in one hand, and an equally large maul in the other. The weapons swung like pendulums of destruction at the ends of the warrior’s powerful arms. Whenever one of his attackers would move too slowly, a devastating blow sent the creature flying away to crumble in a motionless heap wherever it landed, viscid blood soaking into the grass and dirt below. As Jason watched, another creature darted in from Calador’s side. Its sword came down on the huge warrior’s forearm with a force that would have severed an ordinary man’s arm. Calador roared as his plate-like skin absorbed the blow. A back swing of the maul crushed the creature’s skull. Blood began to flow from his arm, but he didn’t appear to notice as he turned back to his other opponents. The smell of blood and beast was thick in the air as Jason turned again. Fifty feet away, Seerka moved with inhuman speed and agility, growling and screaming like a mountain cat. As the raiders swung at him, he nimbly dodged their blows, or blocked them with his bracers, and then darted in and slashed at the creatures with his claws. The Ferrin’s acrobatic jumps, blocks, and rolls were a mesmerizing exhibition in deadly skill and grace. There were already two Trellin lying in dark crimson pools at the feline warrior’s feet, their faces and necks reduced to scaly tatters. Tearing his eyes away, Jason saw that the charnoths were fighting as well. He watched as two of them attacked one of the raiders and dispatched it with a ferocity that caused him to turn his head in nausea. A heavy blow knocked him to the ground. Head ringing, he looked up to see one of the creatures standing over him. Just as it began to raise its sword, a streak of yellow flew into its face. It stumbled back as it tried to dislodge the furious bundle of feathers and talons attacking it. Jason couldn’t be certain, but it looked like the same bird that had landed on his shoulder when he and Reyga were on the forest path. He rolled over and started crawling away on his hands and knees, when the bird’s screeching stopped. A rough, booted foot in the small of his back pinned him to the ground. The pressure vanished, and he rolled to his back to see the creature standing over him once again. He saw the bird struggling on the ground a short distance away. He tried to roll out of the way, but the creature’s feet were on either side of him, preventing his escape. He could only watch as the sword began its fatal descent. Just as the blade was about to split his skull, a greenish-white flash of light stopped the sword inches from his face. He looked over and saw Reyga standing with his staff pointed at the creature, the crystal in the end of his staff glowing like a small emerald sun. Then a shadow passed over Jason, and, with a bone-crushing thud, the creature was gone. He got to his knees in time to see that Calador had crushed the raider’s chest with his maul, and was now bringing his axe down. Jason looked away quickly, but still heard the sickening crunch of the weapon striking home. He looked to the other side of the battle, wondering where Lenai was. He saw one of the raiders stagger as if a weight had fallen on it, and then clutch at a jagged gash that ripped open across its neck. As the creature sank to its knees, Lenai appeared behind it, blood-covered dagger in hand. Her skin had flushed to a dark maroon, and the look on her face sent chills up his spine. She scanned the battle and vanished again. He watched another raider stagger. This one had faster reactions than the first. Quickly, it reached up over its head, grabbed a handful of air, and slammed its invisible load into the ground. A cloud of dust flew up and Lenai appeared, visibly stunned. She rolled unsteadily to her hands and knees, shaking her head. Her back was to the Trellin, so she didn’t see it approaching her, sword in hand. “No!” he yelled, and with a speed that surprised even him, he charged toward Lenai and her would-be executioner. Lenai looked up at him blankly. It was clear that she hadn’t recovered her senses yet. As the raider raised its sword, Jason dove over her and hit the creature with a tackle that sent them both tumbling. 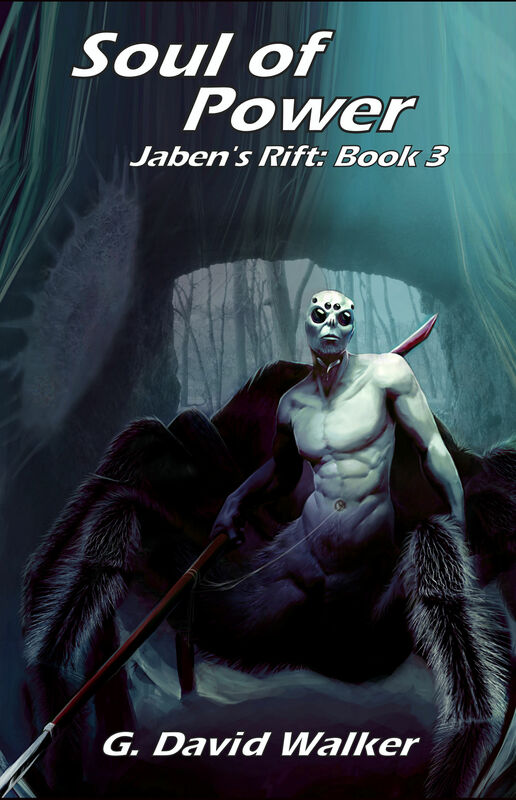 He jumped to his feet and ducked underneath the first swing of its sword, but he wasn’t quick enough to dodge as the creature plunged the dagger in its other hand into his shoulder. He backed away, clutching his shoulder. As the raider moved toward him, raising its sword, the hilt of a dagger appeared sticking out of the side of its neck. It staggered back, clawing at its throat. Jason turned to thank Lenai, but she was still on her knees trying to clear her head. He looked past her and saw Gatlor running toward them, one slot in his bandolier conspicuously empty. Gatlor grabbed the front of the creature’s armor. “What are you doing here?” The only answer it gave was a last gurgling hiss as it died in his grasp. His sword clanged to the ground as he took an arrow from his quiver and nocked it in the bow that was suddenly in his other hand. He raised the bow and released the arrow. There was a hissing roar of pain as the raider fell to the ground, the arrow protruding from the back of its leg. “Take him alive!” Gatlor barked, as Calador and Seerka went to retrieve the fallen creature. He turned back just as Jason lightly touched the dagger. “No!” he snapped, grabbing Jason’s wrist. “You must not remove the blade. We must get you to Lore’s Haven at once. Loremaster Reyga!” he called as he turned away from Jason. “I think I’ll be okay,” Jason said. “It hurts, but not as much as I thought it w—” He gasped and fell to his knees as liquid fire ran through his shoulder. It felt as if the dagger had become a red-hot brand piercing his flesh. As he struggled to catch his breath, the burning crawled from his shoulder down his arm, and then to his chest and neck. 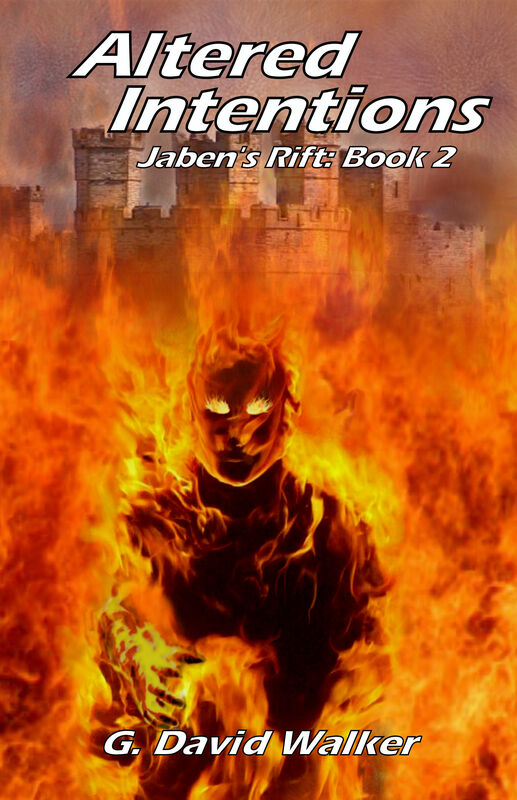 Fiery tendrils of pain spread to the rest of his body like magma flowing down a volcano. He collapsed to the ground and could do nothing but lie there, writhing in agony. It felt like his entire body was in a blazing furnace. Spots danced in front of his eyes as the pain intensified even more. He turned his head and saw Reyga making mysterious gestures with his hands, and then the air shimmered in front of him. Past the shimmering, Jason saw a small blur of yellow rising toward the sky. He thought he should know what it was, but couldn’t focus through the searing pain. He heard his father saying, “Jason. Jason, hold on.” The last thing he felt was the Dokal warrior lifting him, then the pain became too great. With one final agonized cry, he blacked out. A hooded figure stepped out from the concealment of the trees as the last of the party stepped through the portal. It watched the portal winked out of existence, then it slowly walked through the array of reptilian corpses on the ground. “Well, and well, Gatlor. I see you and the others have not completely lost your fighting skills.” Thin lips smiled underneath the hood. “No matter. This was merely a test. How interesting that Brusha is the pup’s father.” With a gesture, a portal opened up. “Aye, ‘tis very interesting indeed.” A moment later, the portal vanished, taking the figure with it. 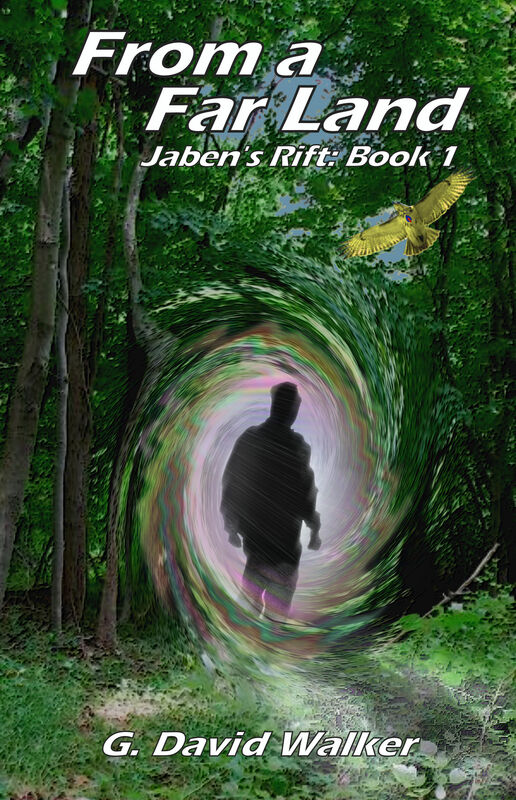 Posted on April 5, 2017 May 3, 2017 by Dave WalkerPosted in Jaben's RiftTagged Fantasy, Jaben's Rift.